Waitrose Blueprint wines are crafted to reflect the world's classic regions and styles. 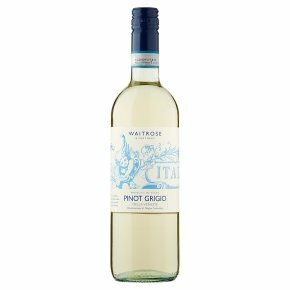 Fresh and fruity, this Italian white has juicy peach and pear flavours with light floral notes, and a softness from a small drop of Chardonnay in the blend. Perfect with fish, chicken or salads, or simply chilled by itself.